Climate Change Has Claimed Its Biggest Corporate Victim. Now Banks Are on Alert. 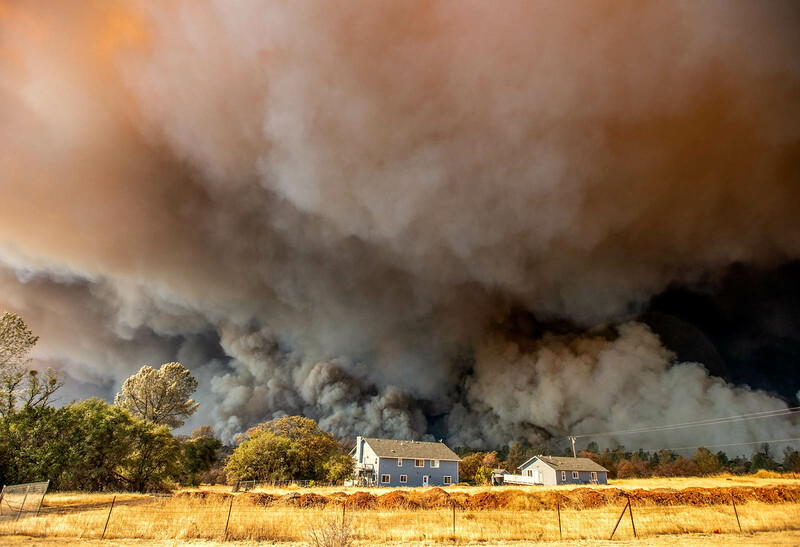 A home is overshadowed by towering smoke plumes in Paradise, California. In addition to the physical risks climate change poses to businesses, policies designed to drive the transition to a low-carbon economy create further risks. 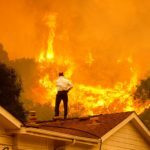 When PG&E filed for Chapter 11 protection in January, The Wall Street Journal dubbed it the “first climate change bankruptcy.” The Californian power utility was facing $30 billion in potential liabilities following a series of devastating wildfires linked to its equipment—wildfires made more likely by a prolonged period of hot, dry weather that had reduced the surrounding forests to tinder and which scientists have since attributed to climate change. PG&E may well be the largest corporate casualty of climate change, but it is not the first. Climate change is increasing the frequency and severity of extreme weather around the world, and other businesses have fallen victim to these trends. Take 2017’s notorious hurricane season—the most expensive ever. Scientists believe that climate change is making hurricanes more destructive, and when Hurricane Maria hit Puerto Rico, thousands of businesses were literally wiped out. In addition to the physical risks climate change poses to businesses, policies designed to drive the transition to a low-carbon economy create further risks. Consider the electricity sector again, but this time in Europe. Hundreds of billions of dollars have been wiped off the value of power utilities by the rise of renewable energy, which has disrupted electricity market economics and turned the incumbent business model on its head. The future is one of increasing physical and transition risks in a growing number of sectors and geographies. Physical risks will become increasingly severe as global temperatures continue to rise. So far, the world has experienced around 1 degree Celsius of warming; despite national pledges to reduce emissions, we could see temperatures increase by around 3 degrees Celsius by the end of the century. Transition risks will become more disruptive as efforts to decarbonize the economy gather pace, as they certainly will. Stopping global warming—whether at 2 degrees Celsius, 3 degrees Celsius or more—requires reducing net global emissions to zero because, while atmospheric concentrations of greenhouse gases continue to rise, so will temperatures. Put simply, the destination—a zero-carbon economy—is certain. It is just a question of how rapid and how chaotic the transition is. And therein lies the risk. These risks have implications for financial institutions. The performance of banks’ loan books will be affected by the impacts of climate change and the low-carbon transition, as will the returns of asset managers’ investment portfolios. Insurers will have to manage both the impacts on their assets and changing claims patterns, particularly from extreme weather. Financial institutions will need to put in place frameworks to quantify and manage these risks. This was the conclusion of a recent report by Oliver Wyman, based on a survey of 45 global banks conducted with the International Association of Credit Portfolio Managers. Most of the banks surveyed appear to accept this, with 39 responding that they plan to implement the recommendations of the Task Force on Climate-Related Financial Disclosures (TCFD)—either partially or in full. The management of climate risks by financial institutions will inevitably create pressure for companies to do the same. The TCFD, an initiative of the Financial Stability Board, sets out recommendations for the disclosure of climate-related risks according to four pillars of governance, strategy, risk management and metrics/targets. Similar trends are apparent in the insurance and asset management sectors. At the time of writing, 35 companies from the insurance sector and over 100 from the asset management sector have signed up as supporters of the TCFD. Last month, the United Nations Principles for Responsible Investment, to which well over 2,000 asset managers are signatories, announced that TCFD implementation would become mandatory from 2020. A growing number of regulators have also come to recognize climate change as a new financial risk. For example, the Prudential Regulation Authority of the Bank of England has proposed that climate change be integrated into the risk management of banks and insurers. And an informal club of regulators—the central banks’ and supervisors’ Network for Greening the Financial System—is exploring approaches to quantify climate risks and incorporate them into regulatory frameworks. The picture, then, is one of increasing scrutiny of climate risks by banks, insurers and asset managers, as well as the regulators that supervise them. The management of climate risks by financial institutions will inevitably create pressure for companies to do the same. The implications of this were explored at various sessions during last week’s GreenBiz 19 conference, which assembled over 1,200 sustainability professionals from the world of business. Interestingly for such a crowd, there was common consensus that responsibility for climate risk management should not be restricted to sustainability functions. This view is echoed in the Oliver Wyman report, which recommended board-level oversight of a “strategic, firm-wide” approach to climate risk. Three other key implications emerged over the course of the conference. First, companies must become “data ready.” Banks and asset managers will need data that allows them to evaluate the transition and physical risks to which corporations in their portfolios are exposed. So, they will ask for it. 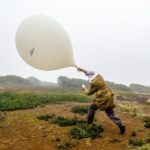 Almost half of those banks surveyed for the Oliver Wyman report revealed they were already collecting additional climate-related data from borrowers. 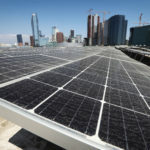 Conversations at GreenBiz 19 underlined how ESG (environmental, social and governance) reporting is becoming mainstream. Companies will increasingly find themselves having to make climate-related disclosures, whether they plan to comply with TCFD or not. Second, use data for scenario planning. In the medium to longer term, physical and transition risks threaten the viability of some corporations. Accordingly, the data that companies collect should inform enterprise risk management and strategic planning, a key element of which will be scenario exercises. These tools can enable corporations to explore the implications of different climate change scenarios for their profitability and business models. At GreenBiz 19, there was widespread interest among corporates in scenarios methodologies and the strategic insights that can follow. Third, climate will determine access to capital. This is an obvious consequence of climate change being incorporated into decision-making for insurers, investors and those who manage banks. The coal sector is already experiencing this shift, with numerous banks withdrawing financing to new plants and mining projects, insurers declining cover, and investors offloading stock. Of the banks surveyed by Oliver Wyman, more than half were already considering climate risks when setting and monitoring lending limits, including sector exclusions. How Quickly Will This Proceed? It will take time to gather the data, build the models, develop the management systems and set the necessary performance metrics. Most banks planning to implement TCFD expect to have done so within three years, according to Oliver Wyman’s results. Given the scale of the undertaking, this is not long. In the meantime, climate change will continue. It is debatable whether PG&E was the first climate-related bankruptcy. What is certain is that it won’t be the last. 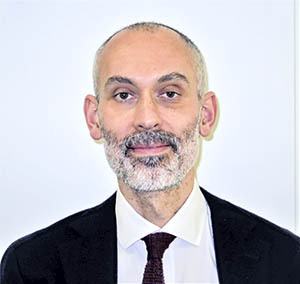 Rob Bailey is the director of Climate Resilience at Marsh & McLennan Insights. Before this, he was the research director for Energy, Environment and Resources at Chatham House.